2. 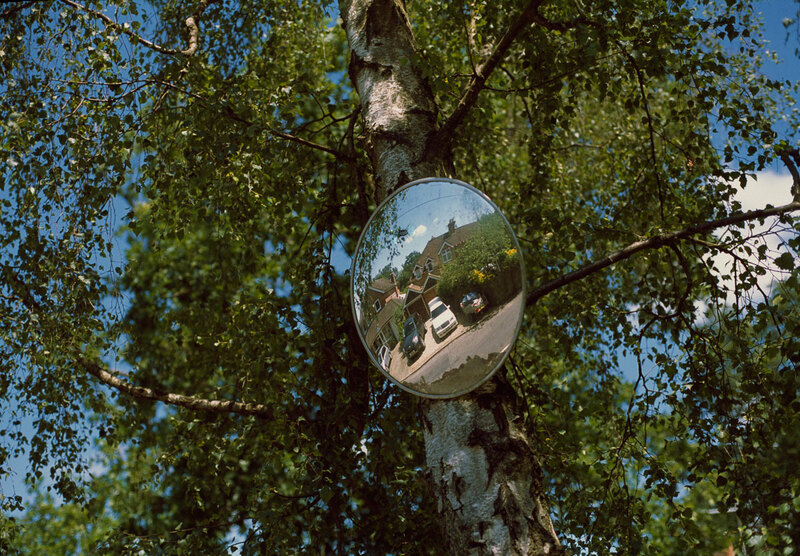 Mirror near to the Methodist Chapel on Chapel Road. My main memories of the Methodist Chapel were my little brother's ballet lessons when he was very small, and my one experience of Brownies. I wanted to join Brownies because the other girls at school got to wear their Brownie uniform once a year and I thought it looked pretty good. So along I went one evening and found myself both bored and confused - I was presented with a book containing good deeds I was supposed to do, like help an old lady across the road, make a cup of tea - my first thought was did I have to go and find an old lady for this task? And then, did my tea-making have more importance if I were a Brownie? And given that my parents like black tea so weak that it has only just seen a tea-leaf in passing, perhaps that wouldn't count at all? And then, at the end of the session, we were required to dance around a mushroom and place a tenpence piece on top of it.